Rainbow Auckland will again host the official Grandstand area in Western Park, so you can experience all the spectacular sights and sounds of the 2017 Auckland Pride Parade from the best seat in the house! The Rainbow Auckland Grandstand is the prime location for viewing the 2017 Auckland Pride Parade. 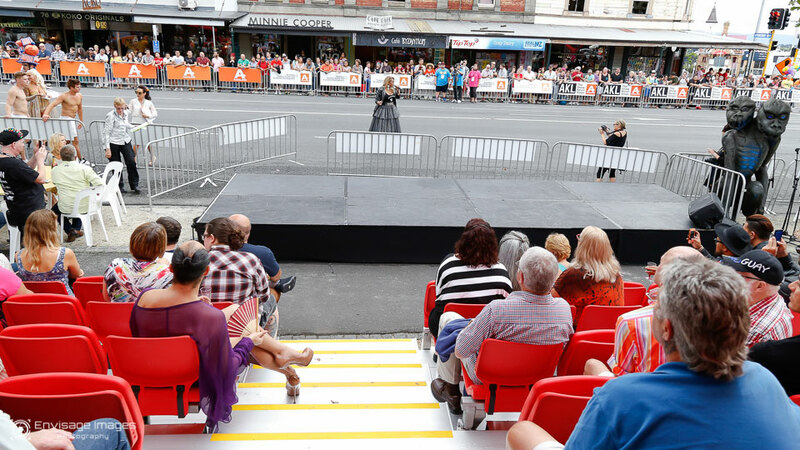 The grandstand seating boasts premium sightlines of the event, and enables you to party the evening away in style and comfort – together with great friends, food stalls and beverages, and all the amenities you could want for an entertaining and enjoyable Auckland Pride Parade experience. Our celebrity MC will lead a fantastic pre-Parade entertainment line-up, then guide you through the more than 50 fabulous float entries taking part in the 2017 Auckland Pride Parade itself. Following the Auckland Pride Parade, stay on and enjoy the unique open-air party atmosphere in Western Park.